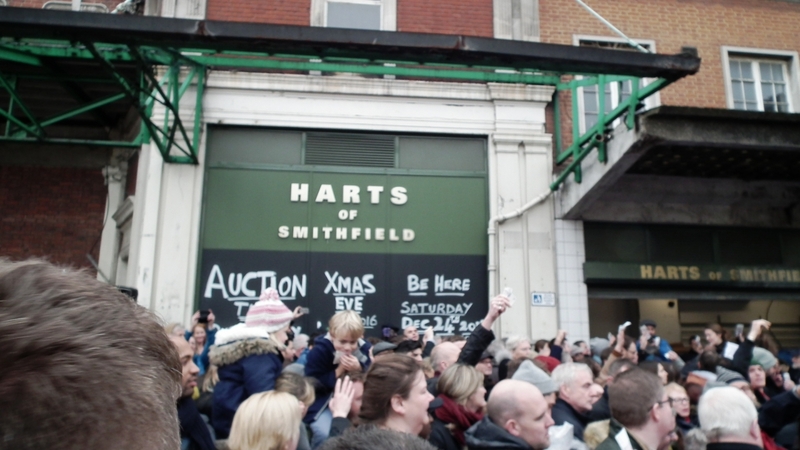 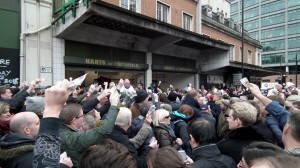 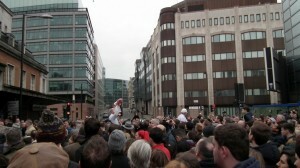 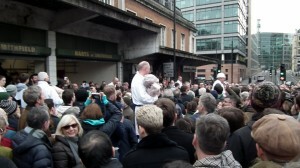 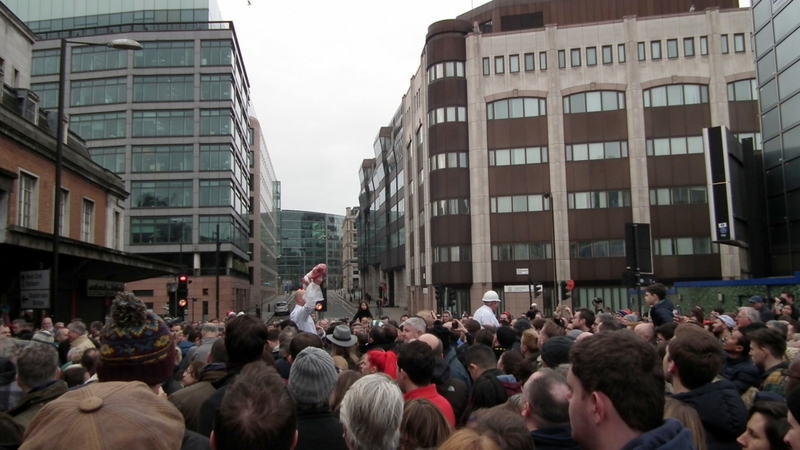 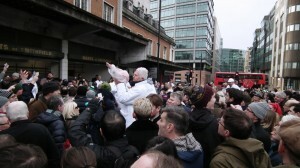 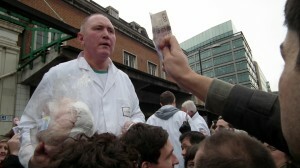 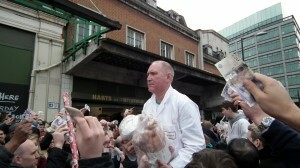 On Christmas Eve a Smithfield tradition will take place outside the historic meat market buildings. Charterhouse Street will be closed to traffic to allow the annual Harts of Smithfield Christmas Meat Auction to take place. Many people return year after year to buy their Christmas Birds, as well as any other top quality cut of meat that takes their fancy at a bargain price, or even free. On my visit in 2016 I arrived early in the morning and watched with curiosity as the Butchers laid pallets in the street. These they would later use as walkways, carrying their booty out amongst the enthusiastic crowd who were eagerly waving their cash high in the air. 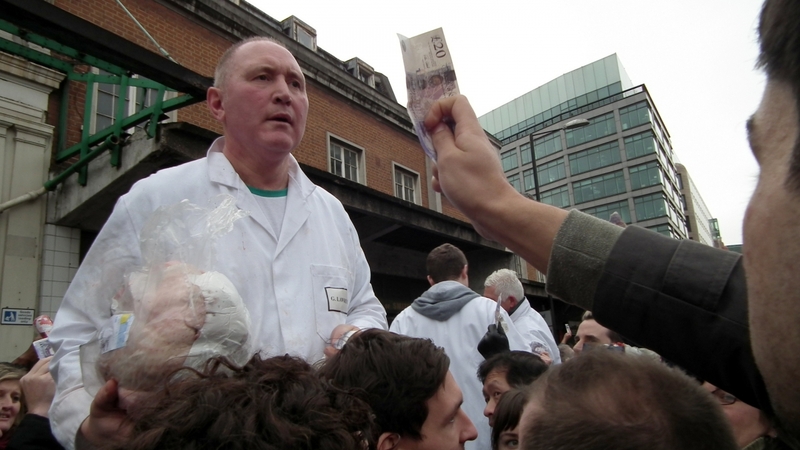 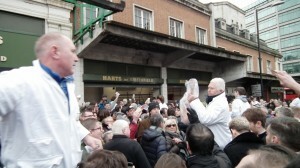 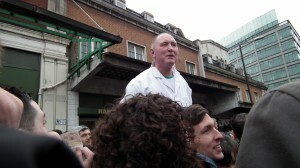 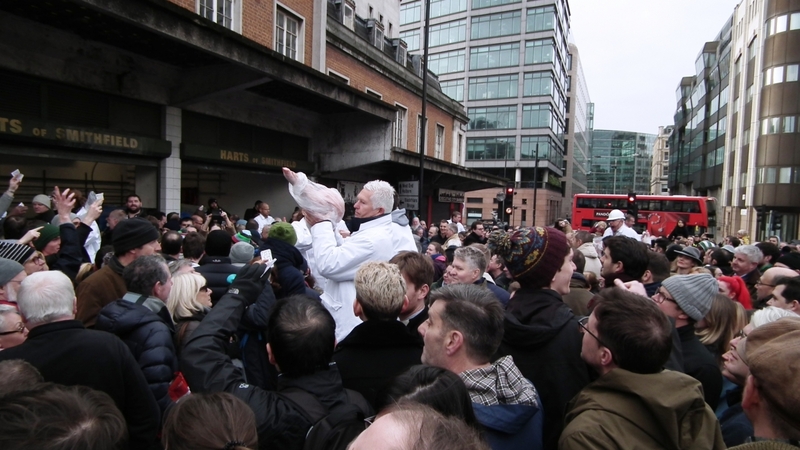 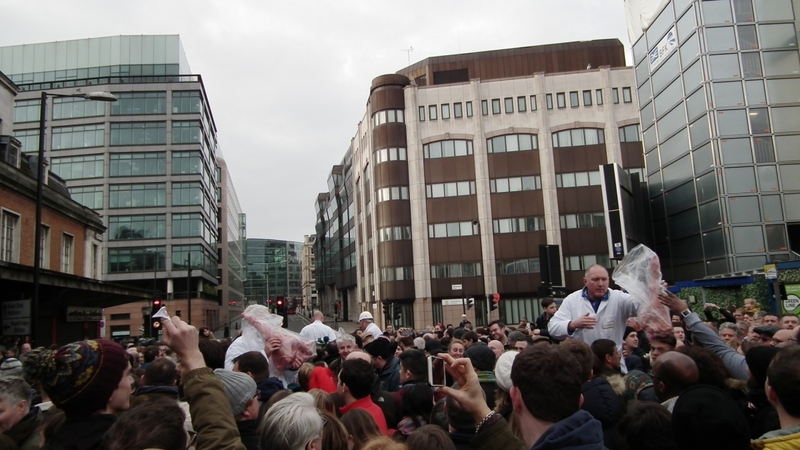 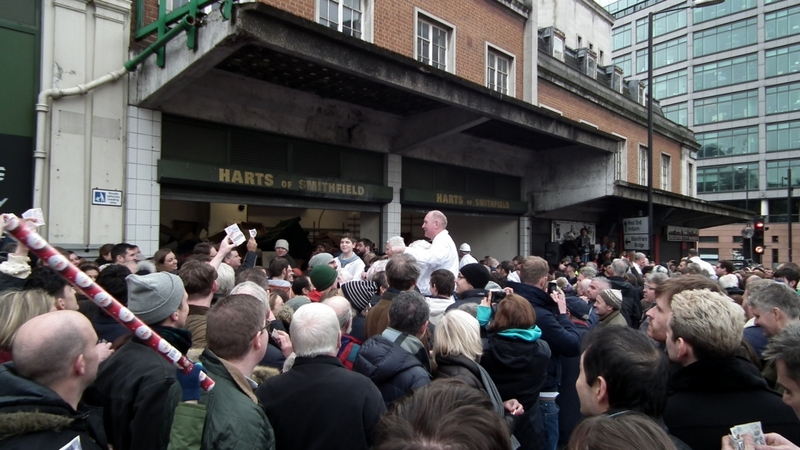 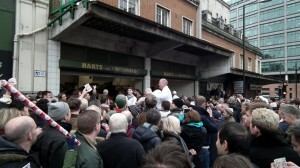 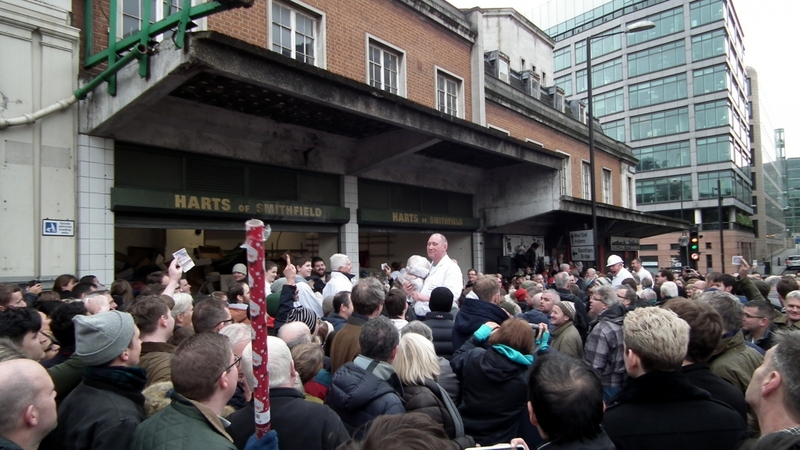 The White coated Butchers have Microphones, and during the first part of the auction they held up bags of meat to the crowd before teasing a price out of them, a price they were more than happy to pay (usually £10 or £20 ). 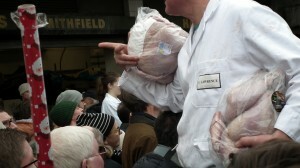 I witnessed bags of good quality Steak, complete legs of Pork, and plump Turkeys going for a song. Later in the auction the deals became even better for many as the Butchers shouted an asking price for the laden bags in their hands and then asked a prospective buyer to call ‘Heads or Tails’ as he spun a coin. 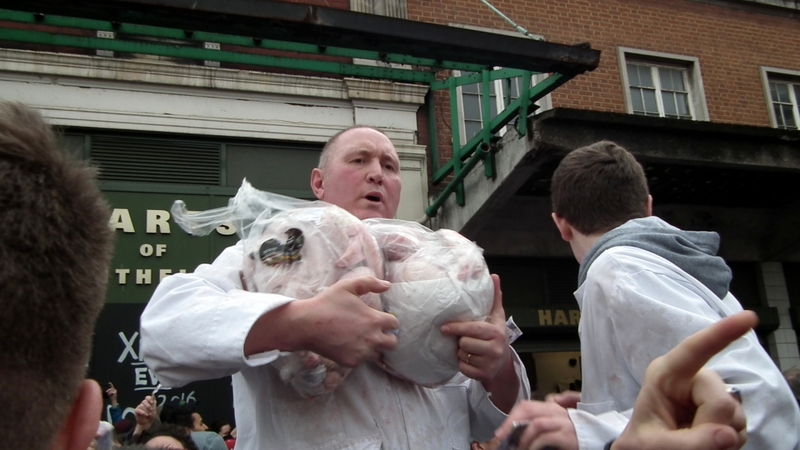 If the lucky punter got it right they got the goods for free, if they called wrong they paid the agreed price. 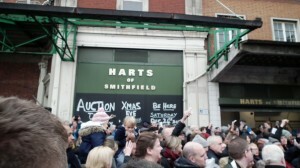 All in all a fantastic way to start Christmas, and most of the large crowd went home with a smile on their face and a bag or two of goodies that hadn’t burnt a hole in their pockets. 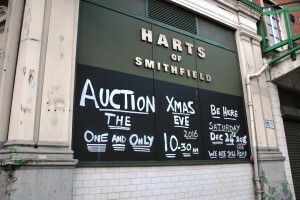 Be warned the auction is a Cash only event, Harts is old London after all.